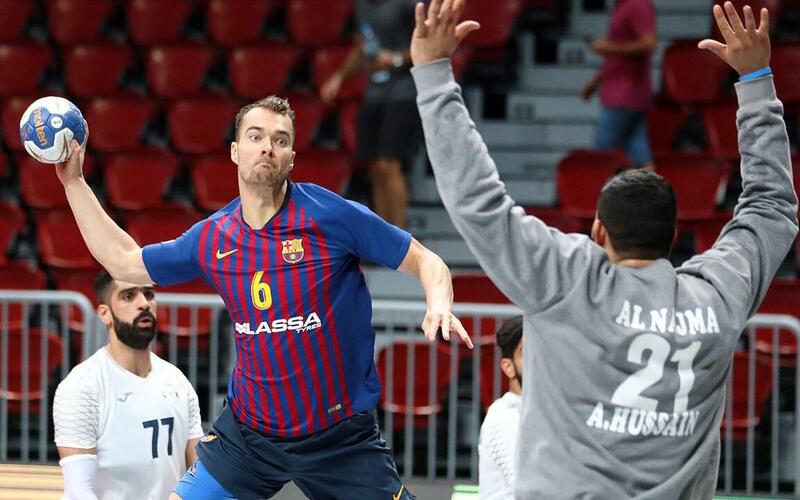 Barça Lassa are into the semi-finals of the Super Globe. The team led by Xavi Pascual earned a comfortable victory over Bahrain’s Al-Najma Club in the Duhail Sports Hall of Doha, and will face the winner of the match between Montpellier and Hammam on Wednesday. Mortensen, with five goals, was top scorer. Dolenec, Andersson and Tomàs helped Barça Lassa move quickly ahead on the scoreboard, and by the 7th minute there was already a five-goal difference (6-1). Both teams enjoyed plenty of possession and scoring opportunities, and by half-time, the five-goal difference remained:19-14. Al-Najma’s slow, heavy rhythm in the second half didn’t suit Barça, and it took until the last five minutes for the Blaugrana to pull away. At the final whistle, the gap was nine goals, the biggest difference over the 60 minutes.